Home Remodel Logan is your one stop shop for kitchen renovations in the Logan UT area. Wether your projects is big or small our team is focused on dynamic remodels that help Logan residents realize the dream kitchen that they have always wanted at a price that they can afford. Are you looking for a modern kitchen upgrade or a throwback to the traditional look? No matter what your dream may be our master contractors are ready to exceed your expectations. Your kitchen is the soul and the heart of your home. Kitchens have long played a role of special importance in the home, it is the place where the family can come together and create lasting memories. While making sure that each member of the family and your guests have a full belly and a happy heart. Depending on where you are at, in the life of your home, your kitchen may need minor updates or a complete transformation renovation. Regardless of what you needs are Home Remodeling Logan can help you from beginning to end on planning your dream kitchen renovation. To make sure that every job is done to the upmost satisfaction of our clients we use only the highest skilled of craftsman and top suppliers in all of Cache Valley. In doing this we are able to take the concept that you have been dreaming of and bring it into reality. 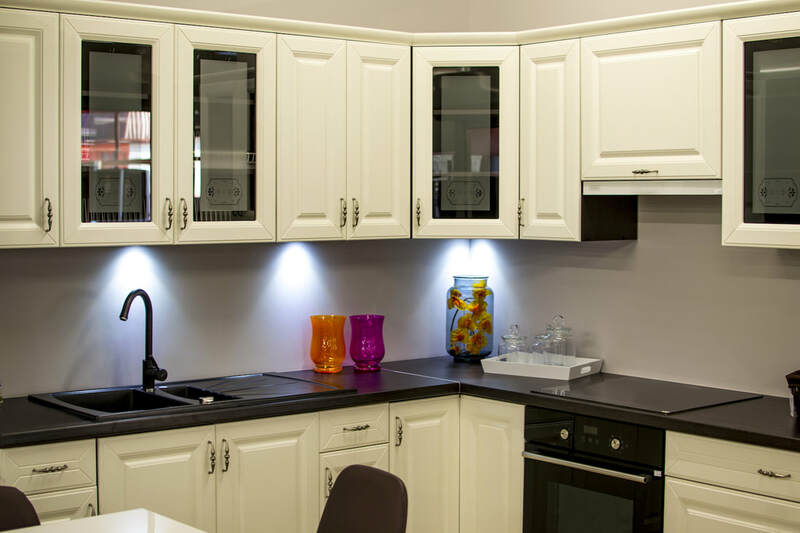 We know that the process of a kitchen remodel can be a scary undertaking for homeowners, but our years of experience have taught us how to make a kitchen remodeling project a fun and easy-going. We want to thank you for coming to our page and giving us an opportunity to help assist you on your kitchen remodel project. If you haven't done so yet we encourage you contact us by filling out the form or give us a call at (435) 565-4849 for your free consultation and quote. Also look at our bathroom remodeling in Logan UT for more ideas on home improvement. Install back splash for ovens and counters. Installing all manner of flooring. Replacement or refinishing of your cabinets. Installing new faucets and sinks. Installing and adding new lighting fixtures. ​If you are not sure what you would like don't hesitate to call us and we can help you design the kitchen of your dreams. Why should you use a Kitchen Renovation Contractors? A DIYer may think this is the best option for them and allow them to get the most bang for their buck there are things that need to be taken into consideration. Remodeling a kitchen can be one of the most expensive and complex of a home remodel projects and though, at first glance, it may appear simple enough. The Process of redesigning and upgrading a kitchen is not realistic for most people to do on their own. It takes a skilled team with many members to bring a kitchen remodeling project to completion. It is far easier and more reliable to hire a contractor like Logan Home Remodeling with the wide-ranging skills that are necessary to complete a kitchen remodel and deliver a high quality for your project. There are many benefits that to kitchen renovations that home owners are unaware of. Kitchen remodeling is a wise investment because it significantly boosts the resale value of your home and often gives you a great return on the investment with homeowners able to recoup upwards of 90% of the cost of the remodel when they sell their home. The kitchen is the heart of your home and a lot of waking time is spent in tis room. A cramped space can make it a very un-enjoyable experience. Kitchen Remodeling Cost in Logan Ut? At Logan Home Remodeling we know the best way to maximize the quality of your kitchen renovation while minimizing the cost of the project. This comes from our years of extensive experience with kitchen remodeling projects and in the skills and trades that are necessary. If we were to provide you with an entire list of the kitchen remodeling projects that we have done we would have to write a small dissertation on it. Needless to say the cost on a kitchen remodel can vary greatly depending on what you are looking to have done, the materials you would like us to use and also the condition of your kitchen prior to us working on it. Below are the more common kitchen remodeling services that we are asked to do once you have a good understanding of what you would like done you can contact us and we can help answer the question how much does it cost to remodel a kitchen? Assisting with the lay-out, design and planning of your kitchen. We are able to make blueprint designs if needed to help the concept come together. A structural change can sometimes be needed, removing or moving an existing wall to add additional space. Adding an addition such as building a pantry that is walk in for additional storage. installation of countertops and cabinetry. On of the first things that someone sees when they come into your kitchen is its counter tops and cabinetry. We are often asked to renovate, install or resurface kitchen islands, back splashes behind the sink, and back splashes under cabinets and over ovens. Install walls, ceilings and flooring. We are able to paint and install new drywall, lay down wood, laminate, tile, or tile that looks like wood flooring we are also skilled at installing new ceiling tiles. For more ideas on the design, layout, supplies and other costs that can go into a good kitchen remodel we recommend taking a look at kitchen contractor Farmingham they can help you give you more ideas on what is possible when you look to remodel your kitchen! ​For over 20 Years we have been dedicated to bringing Logan UT and the surrounding areas in Cache county the best customer service and the highest quality of work. This dedication has earned us the respect and high regard of our clients and even our competition here in the valley for our home and kitchen remodeling work. Home Remodel Logan is uses fully licensed and insured general contractors at all time. With over 20 years of experience we have come across a wide variety of home remodeling projects we know how to make a client happy. ​Call Logan Home Remodeling today at (435)565-4849) or fill out our online form for a free estimate. Estimates are no obligation and no cost.